May 13, 2018 REMEMBER THAT DATE. Mother’s Day. It’s the day to celebrate one of the most important people in your life. Your mom. 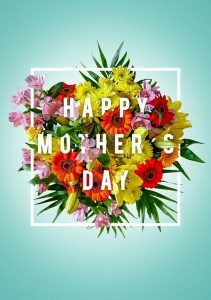 Before you run out to the flower shop to buy your mom yet another bouquet of flowers, or before you buy her yet another box of chocolates that she doesn’t want, but eats anyways, because she does not want to hurt your feelings, consider hiring a chef and celebrating your Superhero Mom with a special family dinner. She deserves it. This is the woman who fed and nurtured you from birth. She made it her life’s goal at the time to make sure that you were fed in the best possible way as a child. Chances are it wasn’t always easy for her; either funds were tight and she sacrificed much for you, or you fussed and complained about not eating your vegetables. I’m sure your mom always persevered so you ate well. The bottom line is, you mom deserves something extra special, and hiring a chef for a special Mother’s Day dinner is that special. Hire A Chef for Mother’s Day! It brings family together. Instead of you and your other family members all treating your mom to something special individually, you could combine your efforts by hiring a chef for a big family dinner. Hiring a chef will make it so none of you will have to do a whole lot of work. I can guarantee the best gift you could give your mom is to have all of your family together at the same time, in the same place. Moms live for this stuff. You can try different food. It’s time to step out of your comfort zone and try some new things! Manjya personal chefs specialize in many different types of cuisine. Your special Mother’s Day dinner could focus food from a different part of the world. We have several chefs who specialize in foods such as Indian, Italian, Japanese, Mexican, Cajun, and many other types of cuisine. Wouldn’t it be fun to try something new? Your Aunt Betty’s jelly mold salad is great of course, but she might be thrilled when you ask her NOT to make it for this Mother’s Day celebration, and so will the rest of the family. It alone can be your mom’s gift. I don’t know about you but I find it hard to come up with new and unique gift ideas for my mom on Mother’s Day. Flowers? Done that. A book? Who knows what she’s reading these days. Chocolate? She has gone dairy-free. A candle? Just another item to collect dust. See my point? If you want to give your mom something she will remember for years to come, a personal chef is the perfect idea. So, remember… Mother’s Day is Sunday, May 13. Hire a chef to bring all your family together to celebrate. Family, great food, special memories being made. It’s all she needs. It’s all she wants. manjya on CanInnovate PodcastLess Trashy, More Classy – Hire a Personal Chef for your Bachelorette Party!